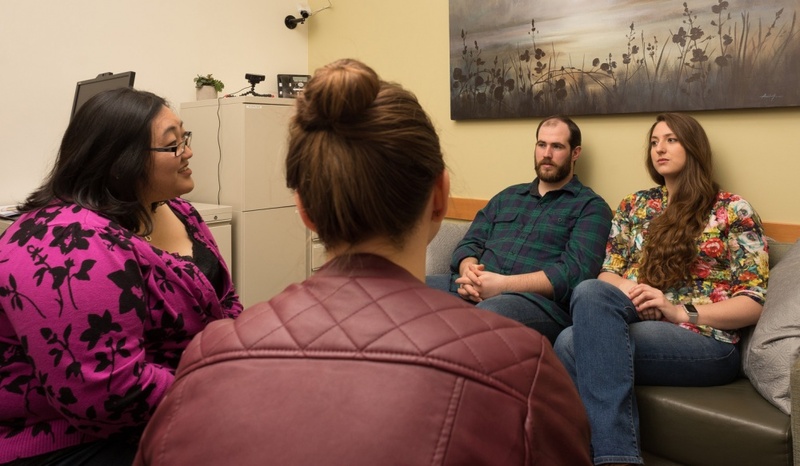 Trained graduate students at the UO’s Couples and Family Therapy Program a will host a pre-Valentine’s Relationship Check-In from 10 a.m. to 4 p.m. Saturday, Feb. 11, at the HEDCO Clinic on campus. Couples, families and individuals in any and all relationship types from the UO and the Lane County community are invited to attend this event. Master’s-level therapists will conduct free, one-time sessions to celebrate and recognize strengths in relationships and, if desired, identify areas for improvement or deeper therapeutic work. The 2016 Relationship Check-In drew more than 70 participants, who not only found ways to fine-tune their relationships but also left the clinic with Valentine’s Day gifts contributed by area businesses. The second- and third-year students offering counseling are among those who also staff the college’s Center for Healthy Relationships. Brown said the service benefits both the community and the graduate students who participate and lets people know the clinic is available for many types of relational counseling. A number of people who participated in last year’s event chose to continue therapy at the clinic, which offers counseling on a sliding scale based on income. Most clients pay $15 per session. Sessions last approximately 50 minutes. Interested people are encouraged to make an appointment, although walk-ins on the day of the event are also invited. Appointments and questions about the Relationship Check-In can be directed to the HEDCO Clinic 541-346-0923 or to Tiffany Brown at tiffanyb@uoregon.edu.